I saw this on the weekend and took a few shots of it. I haven't seen one like this before - not as fine a flower. So bright a colour on such a drab day. 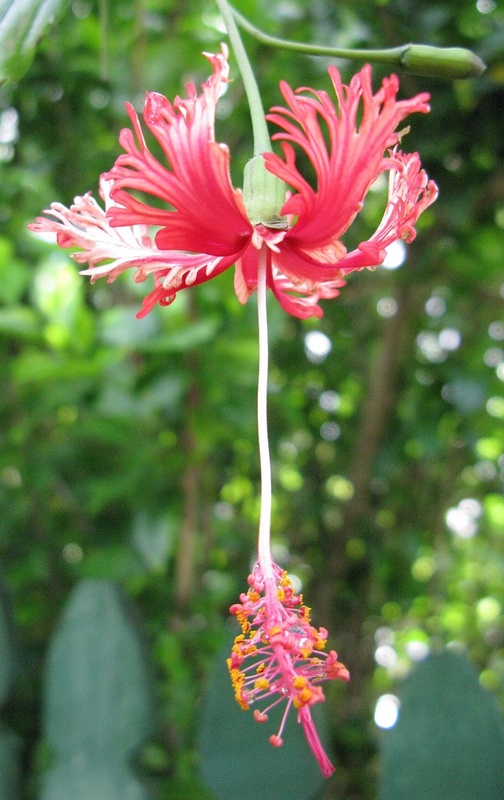 That is just so beautiful....and it is Hibiscus! So sharp and clear.....it jumps out at you. Definitely a hibiscus! I visited a botannical garden in Hawaii once and was told the name of these, but can't recall now. Tried to google it to no avail. It'd be wonderful if someone has the name...isn't it lovely?! Oooh.... pretty! I love it! I think it is a weeping hibiscus! Lovely shot! you are soooo good with the flower photos!